Recently named one of Tasting Table's "Best New Wineries in the US!" 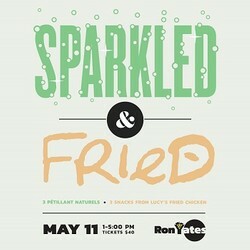 Join us for some fun as we celebrate the classic pairing of sparkling wines with fried foods. "Our wine labels are adorned with our personal ranch brands to represent the past and present generations of the Ron Yates family.